In its continuing quest to expand the global reach of its public cloud platform, Microsoft announced the general availability of four new Azure regions: two in the U.K. and two in Germany. The UK data centers are fairly standard cloud regions, but data in the German DCs is under the control of T-Systems International, a German company that's a subsidiary of tech giant Deutsche Telekom. What that means is Microsoft can't access customer data in the German data centers without the permission of the customers or T-Systems, and will only be able to access data under the supervision of the trustee. Microsoft says that the arrangement it has with T-Systems is the first of its kind. That may help the company attract additional business from companies that want an extra layer of assurance. The launches now mean that Azure is available from 30 different regions, with six more on the way. In probably the single biggest piece of news out of Ignite, Microsoft revealed that it has hundreds of thousands of Field-Programmable Gate Arrays (better known as FPGAs) racked up with its servers in Azure data centers around the world. The hardware is being used to power a new Accelerated Networking feature that Microsoft launched in beta, which offers speeds as high as 25Gbps and latency between 25 and 50 microseconds, for no extra charge. Right now, it's only available for a couple of beefy instance types in Microsoft's West Central U.S. and Western Europe regions, but Microsoft plans to expand the networking capabiliity to all Azure VMs around the world in the future. Looking forward, the FPGAs will also be used for powering machine learning-driven services. While Microsoft hasn't given any details on exactly which services will be getting the boost, the company has code that can accelerate its high-level Cognitive Services APIs using the FPGAs. For a deeper dive on the news, check out this story. Microsoft continued to diversify the different compute instances available through its cloud platform, launching two new instance types aimed at high-powered workloads. H-Series VMs are built to support compute-intensive workloads. They're based on the Intel E5-2667 V3 3.2 GHz processor, and feature a dedicated RDMA backend network. The company also announced L-series VMs that are aimed at powering applications like NoSQL databases that need low-latency, high-throughput SSD storage with a whole bunch of space. The instances will support up to 6TB of local SSD storage, and will be available "in the coming weeks." 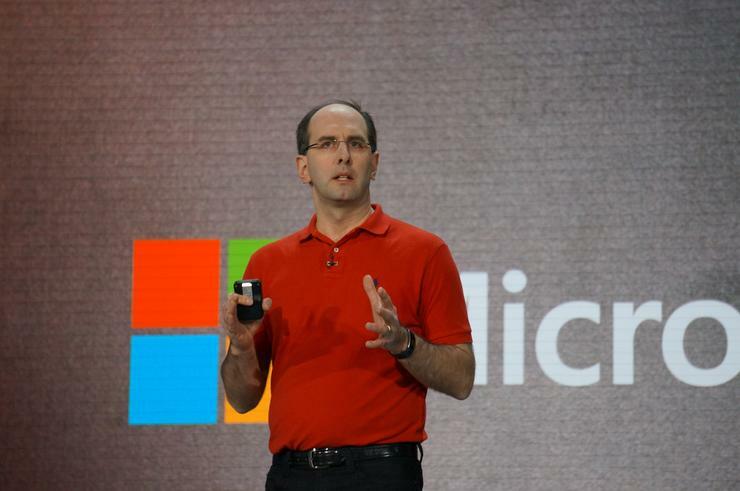 Microsoft's system for running an instance of Azure in a private data center continued its winding procession towards general availabiity at Microsoft Ignite. The company publicly released the second techincal preview of Azure Stack during the show, which adds support for services like Azure Queue Storage and Azure Key Vault. In addition, HPE, Lenovo and Dell showed off prototypes of the integrated hardware systems they'll be selling that will ship with Azure Stack at Ignite. Earlier this year, Microsoft scrapped its plans for letting customers run the Stack software on a variety of hardware. Instead, the only way customers will be able to get a hold of it at launch is through the purchase of expensive integrated systems. Ken Won, HPE's director of product marketing for cloud software, offered a "guesstimate" that his company's system would cost between $250,000 and $300,000, according to a report by Redmond Magazine. In addition, users could work with HPE to get one subscription-based bill for both their public Azure and Azure Stack use. Go to a cocktail party full of techies, and sooner or later, someone's going to mention microservice architecture. It's a cool method of building large-scale applications that's particularly well-tailored for a cloud-based world. Instead of building one monolithic app that does everything, developers create a series of services that each perform different functions, and combine them into an application. That allows companies to individually scale the capacity of different services to meet demand on a given week, day, hour, or minute. There's one problem: wrangling all of those different microservices can be a massive pain. That's why Microsoft built Azure Service Fabric. It's based on internal technology that the company used to run its own services in-house, and is now generally available for use with Windows workloads in Azure. In addition, there's now also a beta version of Service Fabric on Linux. Some people just want to watch the world burn. And some people want to manage their cloud services without touching a graphical user interface. Those folks got a new Azure command line interface to play with this past month. The commands for the new CLI are a bit different from the old one (for one, "azure" is now just "az" in every command). Microsoft has a chart that maps commands from the old interface to the new available on GitHub. The new CLI doesn't support the old Azure Service Manager/Classic-based services, so Microsoft will continue to support the first version of its command line tools (lovingly called the Azure Xplat CLI). In addition, Microsoft continues to support .NET Core and PowerShell-based CLIs, and is continuing to invest in both those tools and the new Azure CLI. That's a wrap for this month! Stay tuned next month for some more cloud changes coming out of Redmond.